Even when we believe in the value of prayer, many of us do not make it a priority or long for a more meaningful prayer life. 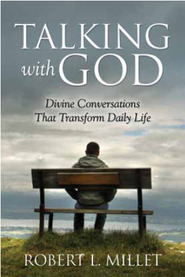 In this book, Brother Millet explores the dimensions of prayer in an engaging, personal way. - A valuable guide to making our prayers more effective and inspiring. - Shows how consistent, sincere prayer can transform us into better men and women. - Covers a wide variety of topics, including: preparation for prayer, fasting and prayer, prayers of gratitude, receiving help from the other side, and what to do when no clear answer comes. - Inspires renewed gratitude for the privilege of prayer and a deeper appreciation of the blessings it brings.